Gary Lee Perry, 73, of Peru, Nebraska was born to Noyle and Mildred (Vice) Perry on September 3, 1944 in Auburn, Nebraska. He graduated from Kearney High School in Kearney, Nebraska with the class of 1962. On November 1, 1985, Gary was united in marriage to Beverly Snodgrass in Fairfax, Missouri. 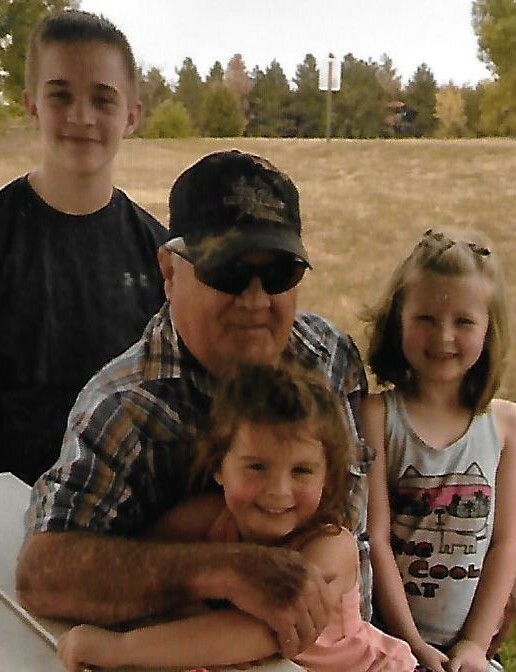 Gary worked as a heavy equipment operator mechanic for NPPD in Brownville, Nebraska for many years before retiring from his job because of health issues. In his spare time, he enjoyed spending time with his family and grandchildren and working on cars. Gary passed away on Saturday, July 21, 2018, at the Nemaha County Hospital in Auburn, Nebraska having reached the earthly age of 73 years, ten months, and eighteen days. He was preceded in death by his parents, a sister Peggy Perry, brother David Perry, an infant sister, and brothers-in-law Carrol and Richard Reeves. Gary is survived by his loving wife Bev Perry of Peru, son Danny (Sheila) Snodgrass of Humboldt, NE; daughter Tammy Sayer of Beatrice, NE; grandchildren: Justin (Kelsee) Sayer of Peru, NE; Kourtney (Jason) Guthrie of Gainesville, FL; Daniel Snodgrass of Humboldt, NE; step-grandson Joshua (Sarah) Mount of Falls City, NE; great-grandchildren: Quinlee and Peri Kate Sayer of Peru, NE; Elisa and Violet Mount of Falls City, NE; a brother Ron (Ruby) Perry of Lincoln, NE; a sister Kay Perry of Nebraska City, NE; brothers-in-law Larry (Linda) Reeves of Jonesboro, TX; Jerry (Nancy) Reeves of Nebraska City, NE; sisters-in-law: Marsha Reeves of Peru, NE; Sharon Reeves of Nebraska City, NE; and many other nieces, nephews, relatives, and friends. A Celebration of Life will be held from 6-8 p.m. on Thursday evening, July 26, 2018, at the Peru City Hall in Peru, Nebraska. Inurnment will be at the Mt. Vernon Cemetery in Peru, Nebraska at a later date.